In today’s article, I want to be kind of a “rebel” and leave my favorite area of automated trading. Today I want to focus on EUR/USD from a discretionary perspective. I will focus on the daily chart and the medium-term trend. On my Facebook (I will be pleased if you add me), I have recently written a post saying that EUR/USD on D1 is an interesting trading opportunity. On D1 (one day chart) there was a clearly drawn head-shoulder formation. This formation had been made for several months and gives us a clear signal to buy. I have decided to look a little bit more in the details on this market. The biggest trick of a long-term trade is that I cannot do my analysis only based on the chart, but I also need other information like COT analysis and other indicators. Therefore, I have reviewed the market from that point of view (I have confirmed my analysis with Elena Lindišová, which is our expert on COT analysis). What does the COT say about EURUSD? Looking at the COT (an indicator that tells us what kind of positions are held by the big players), we clearly see that speculators are well overbought, and the hedgers are well oversold. This is a situation that suggests more the decline rather than a growth. On the chart, we can see that the current price has also hit the strong resistance from previous years. Our head-shoulder formation is hidden at the end of the chart and it is very small, and as we see, the COT covers almost 18 years to get a better overview. Another help is the seasonality, i.e. price behavior during the year. 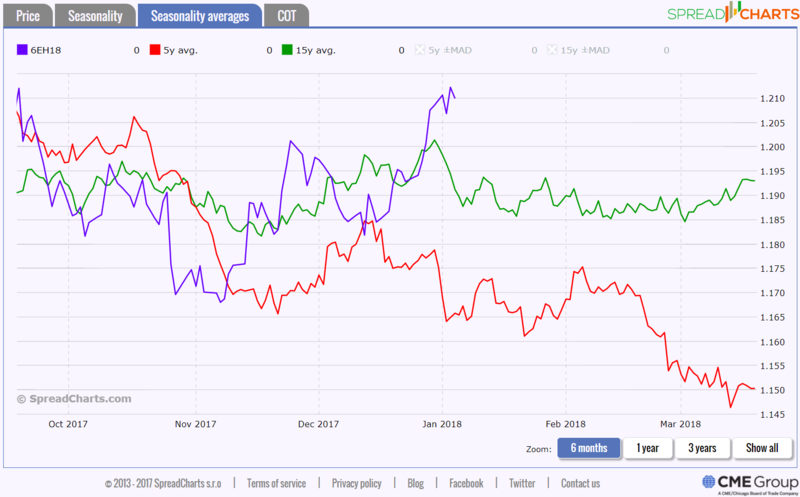 The seasonality logically does not have so much impact on currency pairs, but we can take it as a support analysis with a slightly smaller importance than the COT analysis. Seasonality in this case also shows rather going short. The blue line shows the current situation. Red and green are the averages for 5 and 15 years. It does not look so much for a growth. 90% of traders would probably go long because the head-shoulders formation shows a beautiful and clear signal. At first, I thought it was a super trade. After a deeper analysis, however, we can see that it does not look so much for going long, that means it does not look for a growth. From the three analyses – technical, COT and seasonality, only the technical analysis shows going long and other two favors going short. Everything points to a drop in the price. This trade will be a little longer, but it can give us a few hundred pips, which is a great potential gain. You may be therefore wondering if it makes sense in regards of a swap – fee for holding a position overnight. The swap is currently positive, so they pay us for holding the position. If we kept a trade for six months, our swap would be about 60 pips (according to the broker), so our profit would grow slightly. 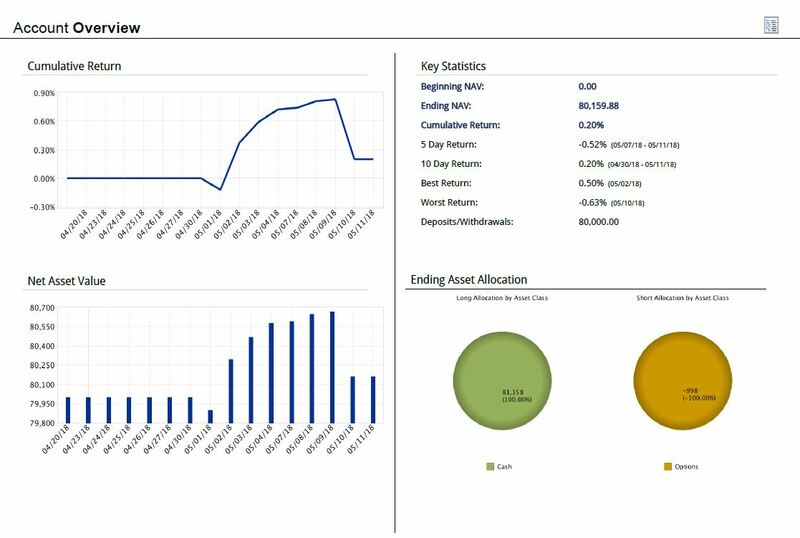 For COT, seasonality, and futures markets, I generally use application SpreadCharts.com. It is completely free of charge and you can register it here. We work with futures data in the app, but it is not a problem and we can easily apply the results on forex. The reason why we work with the futures is easy – we cannot follow big players when it comes to forex. Don´t forget the confirmation bias! Is Forex Futures a liquid enough market in order to be extrapolated to spot Forex conclusions ? thank you for your interest in our articles, we have published this article, to show some kind of hesitation one might have while trading manually.